This beautiful knife was designed by Emerson and built by Kershaw, the Kershaw Emerson CQC-6K Knife 6034! 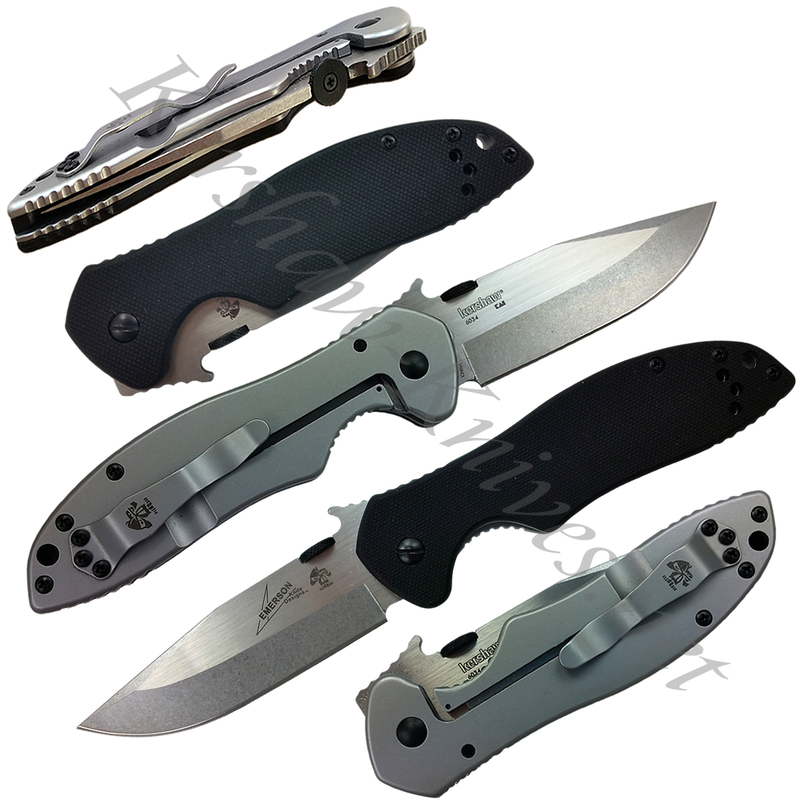 The modified clip-point blade has a satin finish on the top and a beautiful stonewash on the blade edge. Front side of the handle is G-10 scales with stainless steel back side with framelock closure. The knife is manual opening by use of thumbdisk or Emerson's patented wave shaped feature. This wave shaped tab enables the user to have the knife completely open by the time you pull it out of your pocket. 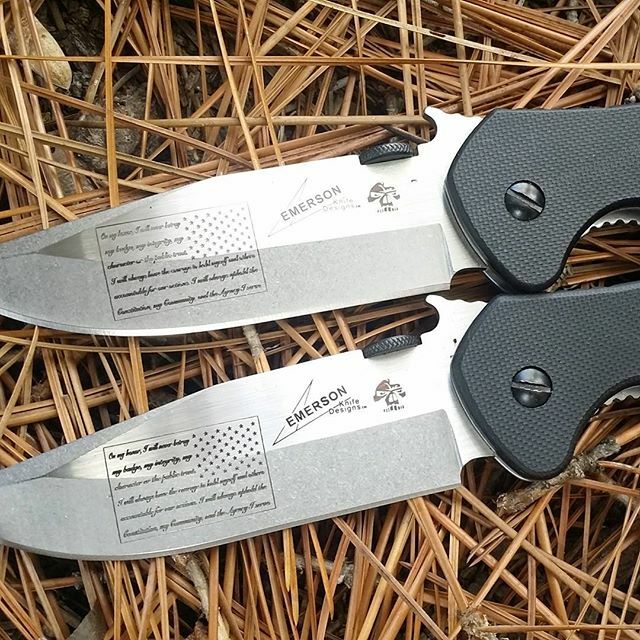 The Emerson logo can be found on the front side of the blade and on the pocket clip.